A business is only as strong as its team. If you are planning on expanding or developing your workforce, there are Canadian government grants for small business recruitment activities to ensure they have qualified workers and the requisite skills and capabilities to support ongoing and future business plans. Funding programs can help organizations hire or retrain staff, improve their effectiveness and train their staff in new areas such as advanced technologies or operational processes. Use the following image links to access information on hiring and training, including Canadian government funding programs and resources to support your growth strategies. Hiring grants and wage subsidies are available to support businesses across Canada. Explore hiring incentives below to learn more about programs your business could potentially use. Canada Summer Jobs Canada Summer Jobs offers support for employers providing supervised career-related work experience for youth employees aged 15-30. Connect Canada Internship Connect Canada supports the hiring of a research intern to tap into their skillset and solve an R&D problem over a 4-6 month project. Industry Commercialization Associates Program Alberta Innovates’ Industry Commercialization Associates Program offsets a portion of costs related to hiring an associate to perform technical commercialization activities. Industry R&D Associates Program Alberta Innovates’ Industry R&D Associates Program offsets a portion of costs related to hiring an associate to perform technical research and development activities. Mitacs Accelerate Mitacs Accelerate supports business research-related challenges. It covers a portion of costs for 4-month internships where graduate students spend 50% of time on-site with the SME and 50% of time at a post-secondary institution. Northern Ontario Internship Program The Northern Ontario Internship Program supports employers that provide 52-week internships to recent post-secondary graduates. TECTERRA HIRE TECTERRA HIRE supports the employment of highly-qualified technical and business personnel. The new hire will be a key technical resource to contribute to the success of the development/commercialization of a new geomatics technology. Youth Employment Program (IRAP) The NRC-IRAP Youth Employment Program is designed to assist the hiring young Canadian post-secondary graduates. Graduate(s) can be applied to most areas from business development to technical to customer service/administration. Training grants are available to support businesses across Canada. Explore the training incentives below to learn more about programs your business could potentially use. B.C. Employer Training Grant (ETG) British Columbia’s provincial variant of the Canada Job Grant, the Employer Training Grant (ETG) assists employers to provide in-demand skills training to a group of employees. Canada Job Grant (CJG) The Canada Job Grant is a federal-provincial-territorial initiative designed to reduce the costs of providing third-party skills training. Its streams of funding are targeted at each province and territory; each stream maintains unique funding contributions and eligibility criteria depending on the region’s specific training needs. Canada-Alberta Job Grant (CAJG) Alberta’s provincial variant of the Canada Job Grant, the Canada-Alberta Job Grant assists employers to provide in-demand skills training to a group of employees. Canada-Manitoba Job Grant (CMJG) Manitoba’s provincial variant of the Canada Job Grant, the Canada-Manitoba Job Grant assists employers to provide in-demand skills training to a group of employees. Canada-Ontario Job Grant (COJG) Ontario’s provincial variant of the Canada Job Grant, the Canada-Ontario Job Grant assists employers to provide in-demand skills training to a group of employees. FedDev Ontario Training Program (FOTP) The FedDev Ontario Training Program is uniquely positioned towards Ontario-based manufacturers. Training can be led internally or through third-party trainers to advance skills and improve productivity. Hiring employees can help your business grow to new heights. Regardless of the scale of your hiring efforts, increasing your workforce can lead to significant benefits to organizations profitability and agility. As more employers experience skills shortages on their team, developing and instating an “always hiring” mindset can help your business continuously attract top talent. Training employees can help your business grow and retain top talent. By investing in the continued growth of your employees, your business can become more productive, skilled, and better able to respond to opportunities and challenges. It also helps employees’ professional development and sense of belonging, which leads to better retention and less time onboarding new employees. Ready to empower your employees and drive organizational success through hiring and training projects? 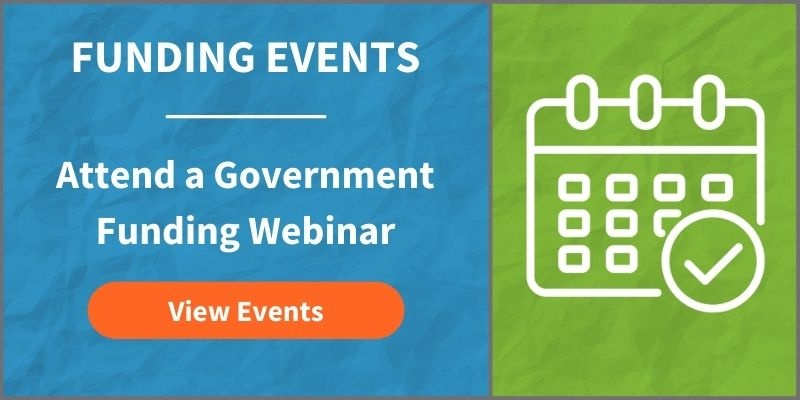 Register for an upcoming Canadian government funding event to learn more about how funding works, how to navigate the government funding process, and support services to help develop a successful funding application. Mentor Works hosts frequent webinars and live events to help business owners and executives further learn about their funding potential. Register for a session to continue exploring hiring and training grants.